I am a huge fan of scarves year all year round. In the cooler months they help to keep my neck warm and snug and protected from those cold winds. During the warmer months I like to team them up with a loose cotton shirt for a casual relaxed beachy look. 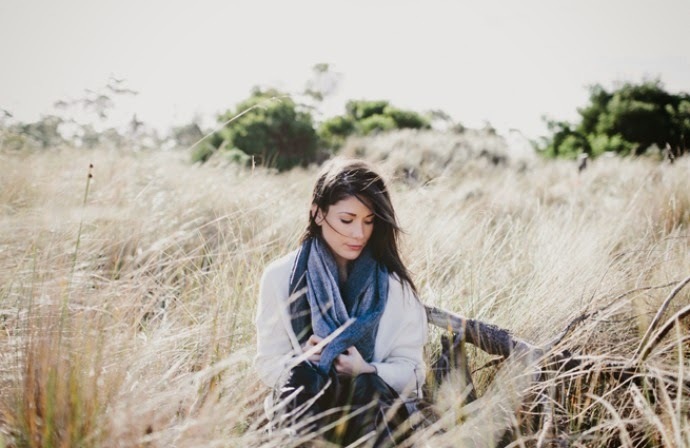 For me - the stunning range of scarves from Once Was Lost evokes the feeling of carefree days at the beach, weather worn boathouses and fresh salty air. Some of my most favourite things in the world. Once Was Lost - a gorgeous seller on Down That Little Lane, is the collaboration of passionate creatives who have a shared love of beautifully handmade products and an appreciation for enjoying the simple things in life. Wanting to combine their passion for fairly traded products, but also their love of a natural aesthetic, Once Was Lost blends simple modern designs for everyday with the knowledge that each product has been lovingly and ethically hand produced. Focusing on natural textiles and accessories, they hope to create pieces with timeless style worth treasuring. You can view the full range of scarves from Once Was Lost here. 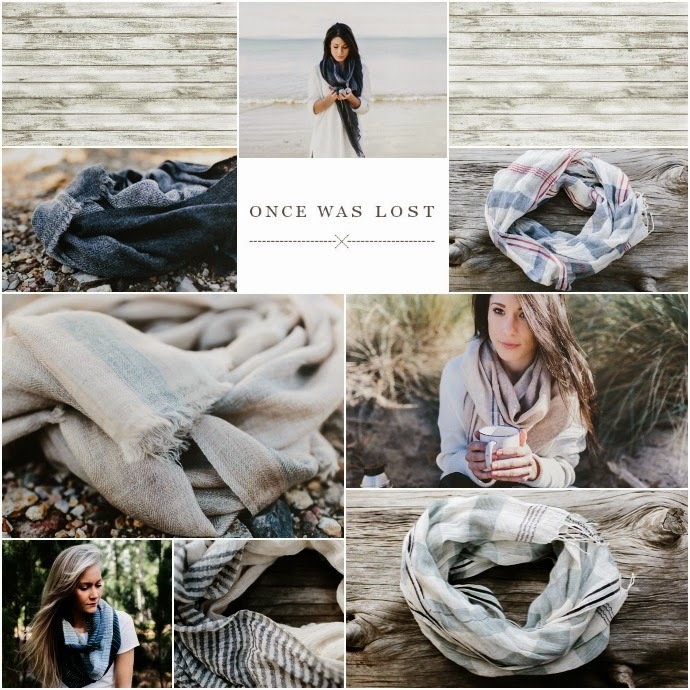 In a cross promotion with Down That Little Lane, we have a stunning charcoal Henley Fine Scarf valued at $149.95 up for grabs from Once Was Lost! 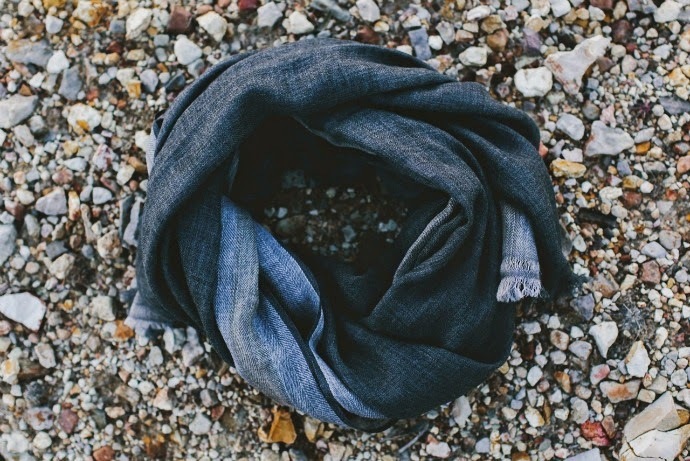 This luscious, super soft scarf has been handmade in a remote province of Nepal by a small group of talented artisans. Using traditional weaving techniques, this scarf is hand woven with the finest 100% pure cashmere gathered from the undercoat of free roaming Himalayan mountain goats. Generously sized and finely woven, this luxurious scarf is perfect to wear all year round and the ideal accessory to take with you on all your travels and adventures! What is your favourite way to stay warm in winter?